What keeps customer contact leaders up at night? Common answers include reducing costs, creating more seamless customer interactions, leveraging chatbots, embracing the omnichannel revolution and improving support in digital channels. 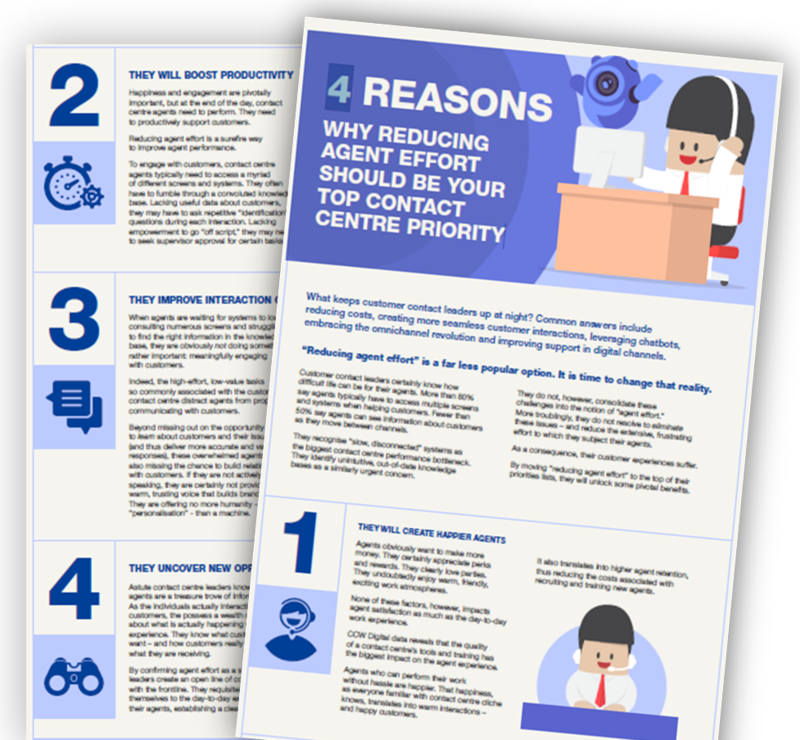 “Reducing agent effort” however is a far less popular option. It is time to change that reality. Read on to find out why this could be the answer to your contact centre strategy.